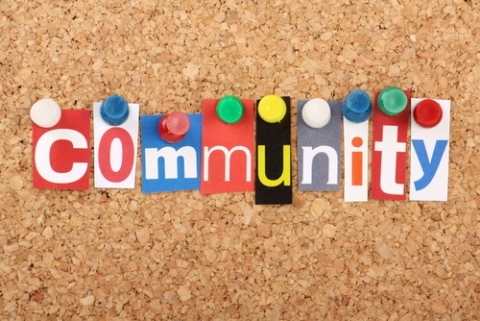 There is not an ECONOMY issue…Our issue is lack of COMMUNITY! I am so tired of the blame game. One minute our economy is the fault of BIG BANKS, who structured mortgages where a job & income was not a requirement to purchase a home or 10. Next, there are entire organizations being formed to blame a President who has been in office all of 3 years in a country who has a pretty long history. I really don’t blame any one entity and don’t like to even play the NAME GAME of what or who is at fault for the challenges in this country today. When someone in the community has a baby they should be registered for the items they need and the community around them should pitch in and purchase ALL the items. Once you have one child the list should not be as long. There should also be a list put together to ensure the family has dinner for the first 3 months so the mom can rest and take care of the baby and dad can do whatever it is that we do. This just means they receive a $20-25 gift card at least 4 times a week for 3 months. So just decide who is going to put the calendar together so people in the church, school group, little league community are going to sign up. There really should be only one day for each family to buy a meal. You don’t have to be best friends with someone to buy their family a meal to say congratulations for having a baby. All you have to do is remember when you had a child, needed help and did not care where it came from. A natural disaster is not the only reason to show compassion for your fellow man and I believe this concept works wonders when our children are able to see how giving makes an impact on the community. My family actually has been on both ends of this baby(meal) list and we have lifelong friends that we love who we met when they came to our home to deliver a meal. Shout out to the Blake Family! !